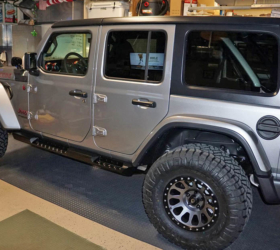 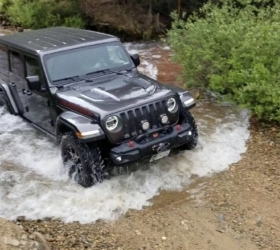 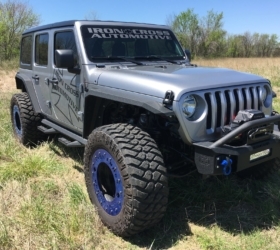 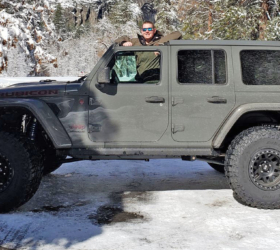 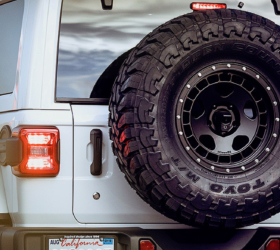 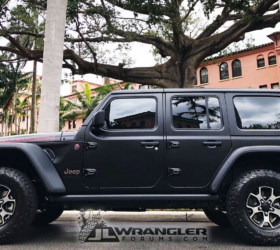 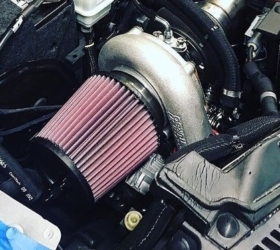 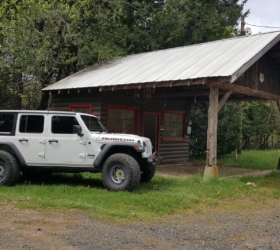 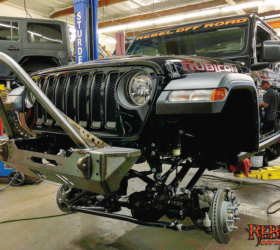 Motobilt’s 2018 JL Rubicon build is underway and the company has already made big strides by installing 40″ Maxxis Trepador tires with custom powder-coated Raceline aluminum beadlock wheels and a 2.5″ lift. 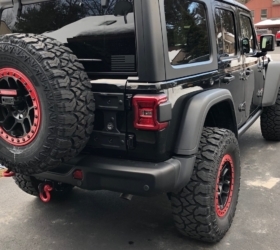 To add more room for the meaty tires, Motobilt removed the inner liners on both the front and rear fenders including the front turn signals. 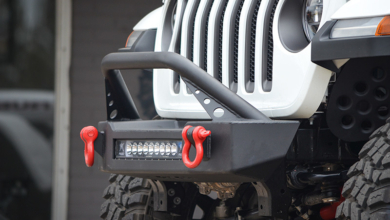 This however, did not fix the clearance issues with the factory bumper, so what did Motobilt do? 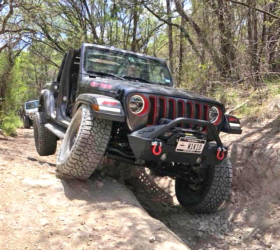 They built their own of course — and so the Motobilt JL Front Bumper Crusher was born. 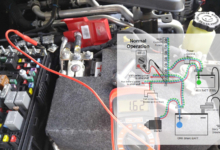 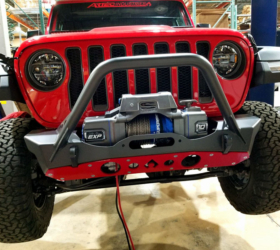 Their new recessed winch bumper is made of 3/16 inch thick steel plate that is laser cut at Motobilt’s headquarters. 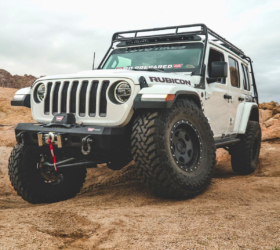 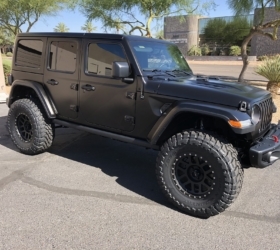 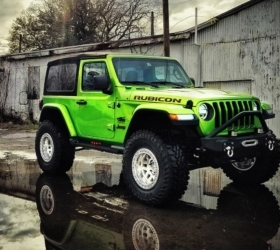 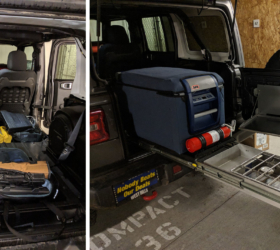 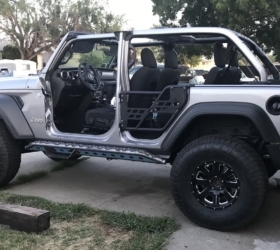 It measures just 46″ at its widest point providing ample clearance for the 40″ tires while also securing the winch down low in between the frame rails with a winch bolt pattern that accepts multiple style winches. 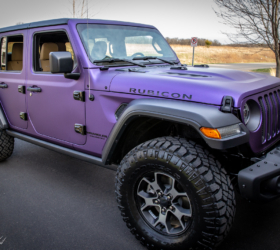 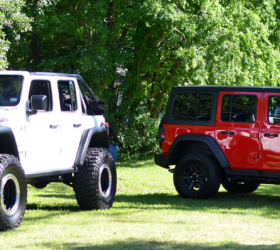 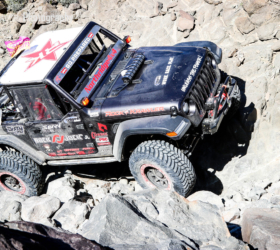 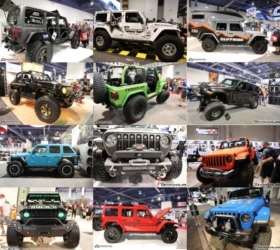 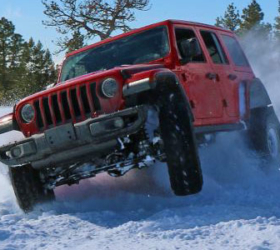 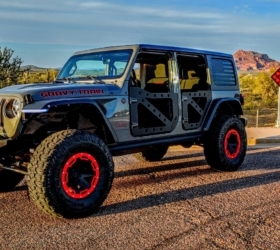 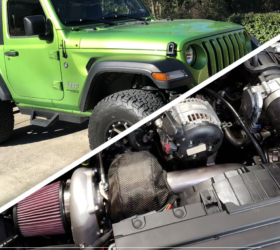 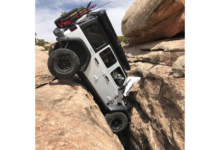 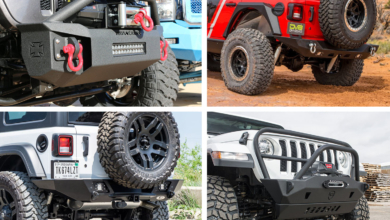 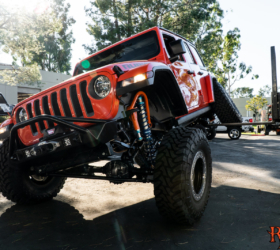 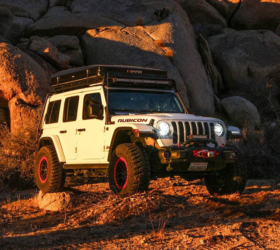 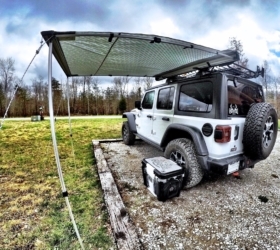 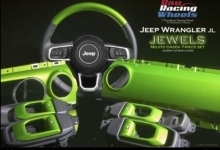 Check out the Motobilt’s build journal and its new JL Bumper Crusher inside.